Barcelona will wear a purple match jersey for the first time in club history. 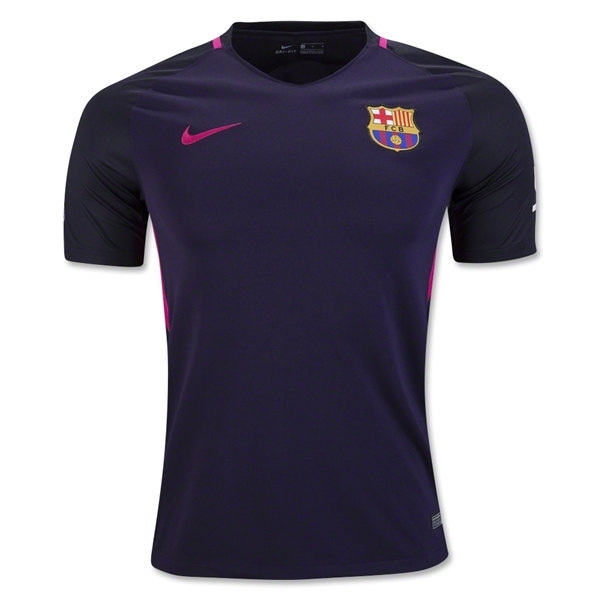 The body of the jersey is a deep purple, with black contrasting sleeves. Accent color pink highlights the Nike swoosh, circles the collar, and is used for the shirt sponsor Unicef, which is printed on the lower back. Buen diseño, gran calidad como todo camisetas clubes.